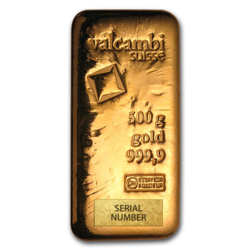 With GoldBroker, you can purchase gold bars produced by recognized refiners certified by the London Bullion Market Association, such as Valcambi, Ohio Precious Metals and UBS. Bars never leave the professional storage units from the time of fabrication. 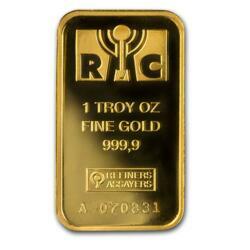 Traceability guarantees your precious metals’ authenticity and purity of at least 99.5% gold. Your investment maintains its maximum resale value. Gold, liquefied at a temperature of over 2,000 degrees Fahrenheit, is poured into a heated cast iron mold positioned on a balance to precisely measure it to desired weight. Seconds later, the newly-formed gold brick is quenched and cooled in a tank of water. It is then rubbed with a soft cloth and weighed before being marked by press or hammer with the refiner’s seal, a unique serial number, and its purity and weight. A gold bar has been made for investment. Should it become yours through the services of Goldbroker.com, its exact whereabouts are known from that moment of creation until it is in your hands or storage facility. Its integrity is unimpeachable. The process described above is that which is used to manufacture the standard investment gold bar for trading on the major international markets, and is also held in reserve by the world’s central banks. 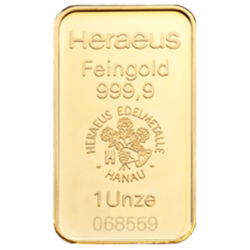 It weighs 400 troy ounces (438.9 oz or 12.4 kg) and is known as a Good Delivery Bar. The London Bullion Market Association sets its requirements including a minimum fineness of 995 parts per thousand of gold and the various procedural requirements covering weighing, packing and delivery. 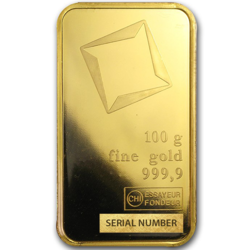 These obviously represent quite a large investment so there are, of course, other sizes of gold bars available, from 1 ounce to 100 grams to 1 kilogram, which are held to the same exacting standards. These smaller sizes come with relatively higher premiums but are valued for offering a more flexible liquidity. 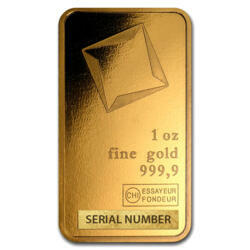 The quantity purchased also affects the premium added to the price of the precious metal itself. It is up to you to decide what is most appropriate for your investment portfolio. Our experts are always available to answer your questions. An important thing to remember with gold bars is that there is no more craftsmanship involved in their fabrication than what is described above, as opposed to coins which demand intricate design and fine etching. This means that you are buying gold at very close to spot price, the market representation of its true precious metal worth, with no additional costs associated to artisanship and demand created by fashion or trend. Nonetheless, it is equally important to note that Goldbroker deals with the world’s best and most trusted suppliers in order to procure the finest gold for our customers. 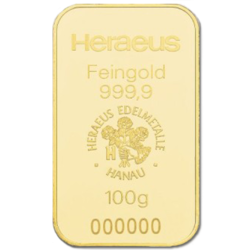 Transformed into fundamental bars, gold is a solid strategic element of any investment and wealth insurance program. Gold ownership crosses all lines of income, age, gender, and belief. One may acquire a gold hoard in a confident and straightforward way and furthermore, store it securely, with the help of Goldbroker. Browse this web site and feel free to ask our staff for support. 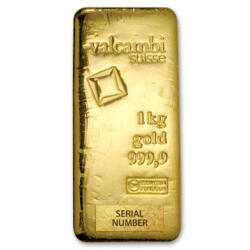 The largest gold bar in existence was manufactured by the Mitsubishi Corporation. It is displayed at the Gold Museum next to the Toi gold mine in Japan. It weighs 250 kilograms (just over 550 pounds) and is valued at approximately $10.33 million USD, after appreciating by over 300% since its manufacture in 2005.